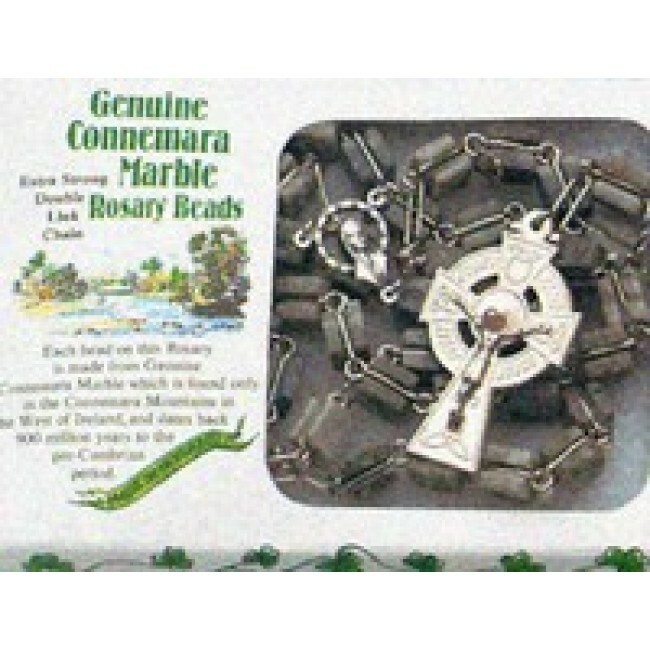 The Connemara Marble Irish Rosary features double links for an extra strong piece that will last for years to come. 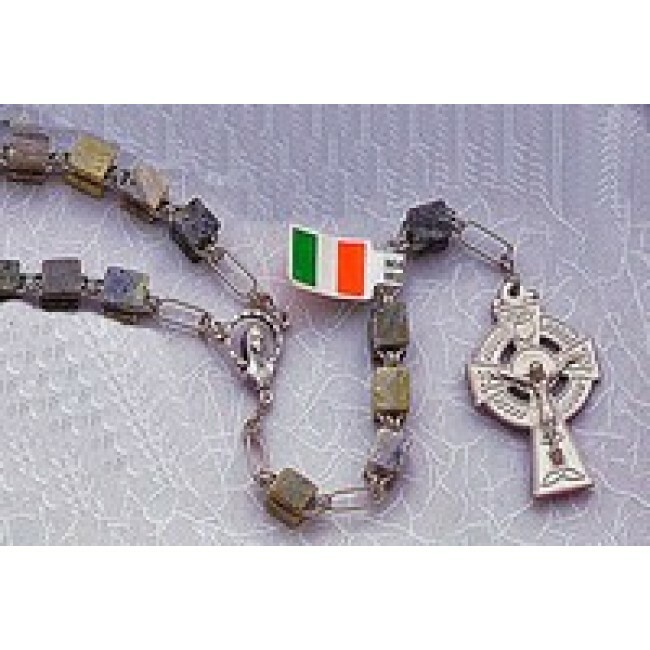 The rosary is made using genuine Connemara Marble beads which are made using marble that is only found in the Connemara Mountains of the West of Ireland. 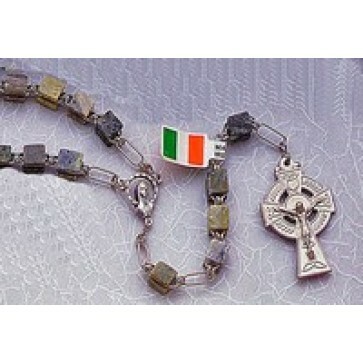 The Irish rosary is finished with a Celtic Crucifix on the end and a rugged aged silver finish. The beads are a square shape that creates a natural appearance that is unusual in rosaries.